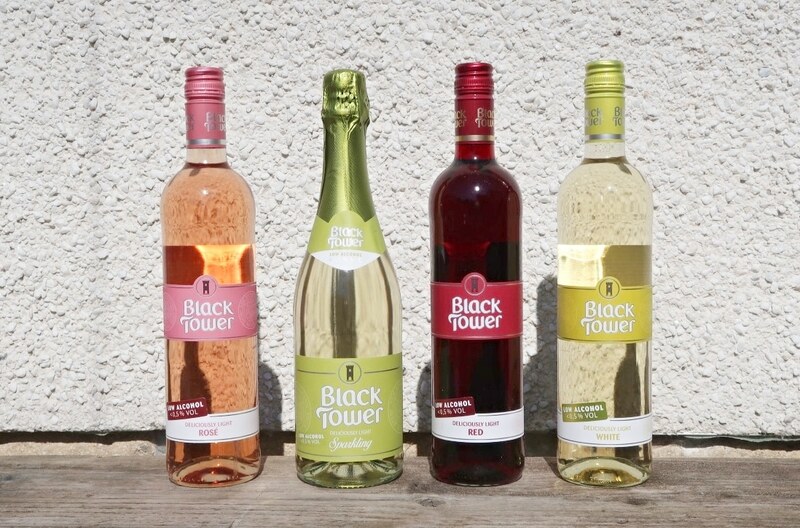 When I first started drinking wine at university I always went for Black Tower, the main reason back then was because I like the shape of the bottle. Not exactly the best way to choose wine, but it worked out well for me as I enjoyed the taste too! FYI that’s also how I choose cars, by shape and colour, much to my husband’s annoyance! I don’t drink alcohol as much as I used to, party because of getting too drunk when I was younger and not enjoying the hungover feeling. However, when I was offered Black Tower low alcohol wine to try I thought it would be a great idea. I could easily enjoy a glass of wine without feeling hungover (yes, I’m a lightweight, just one or two glasses is enough for me!) and it wouldn’t ruin my healthy eating plan either. 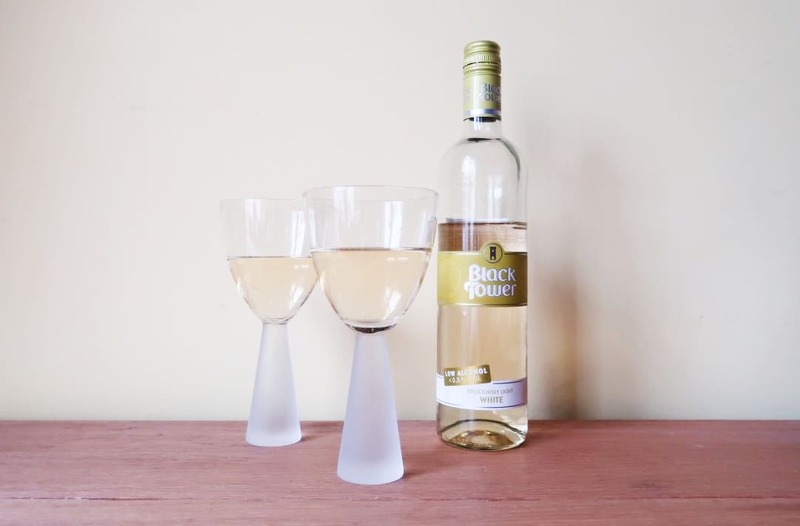 Black Tower’s low alcohol wine boasts a calorie content of only 29 calories per 125ml glass and 0.5% ABV and 1.5 slimming world SYNS per glass, which is perfect for those worried about their waistline. Sparkling wine is always a treat and the perfect celebratory drink. I tried a glass and enjoyed the fruity taste and fizz, it certainly tasted good to me. Of course the cork popping off is always a pleasant sound at any celebration. This would be great for those parties and other celebratory occasions where you would like to keep the calorie content down. As I don’t tend to drink sparkling wine I asked my husband to test it too, he managed to drink most of the bottle, so I take that as a good sign! He said that it tasted very similar to other alcoholic sparkling wine he has tried in the past. 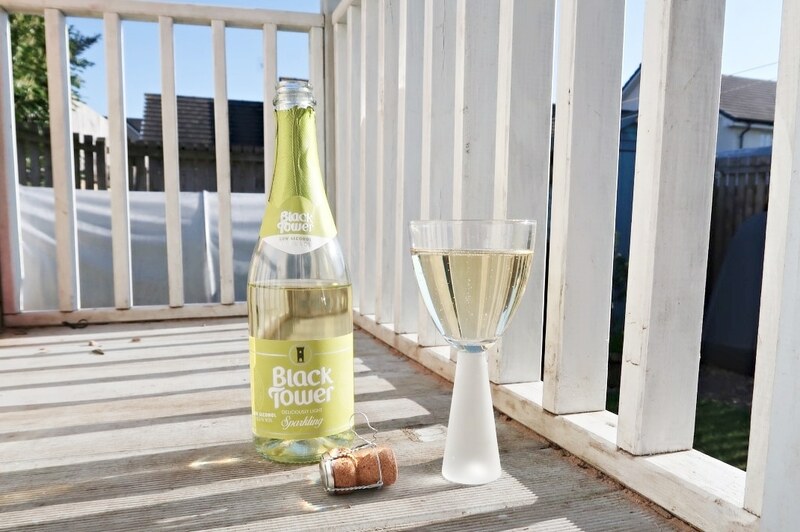 It was Black Tower white wine that I first tried when I was a teenager, so I did wonder if this Black Tower low alcoholic white wine would be just as good. The light white wine has aromas of peach, orange and passion fruit, which I found beautifully fruity. It’s slightly different to the alcoholic white wine, but I found it just as delicious and certainly one I would buy again. Rose wine has always been my favourite, I like the sweetness and fruity flavours in Rose. So I was interested to see how the low alcohol wine compared to other alcoholic wine’s I have previously tried. 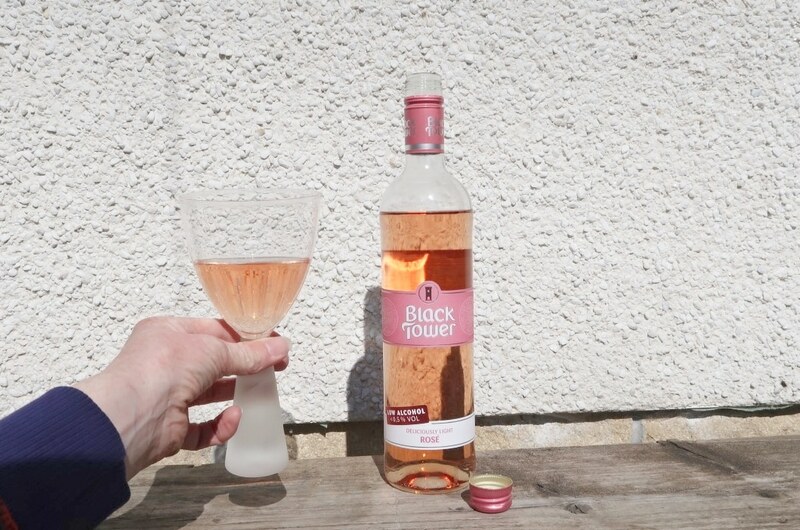 With aromas of strawberry and blackberry the Rose wine has a beautifully fruity taste. I could see myself happily drinking this on a summer’s evening with friends. 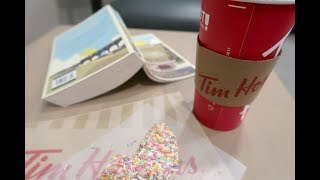 Fantastic for people who don’t drink very much or watching their calorie intake, like me! I have to admit that I’m not much of a red wine drinker, so I left this particular wine for my husband to test. He happily obliged and has confirmed that it has a similar taste to full alcohol red wine. Perhaps this should be what I buy him rather than the full alcohol versions from now on! The light red wine has aromas of spices and blackcurrant and smells delicious. My husband enjoyed this wine with a meal of roast chicken, although I’m sure there are lots of other food it will taste good with! As I’ve been trying to lose a little weight by watching what I’m eating, mainly a lot less junk food, the Black Tower light wine is perfect. 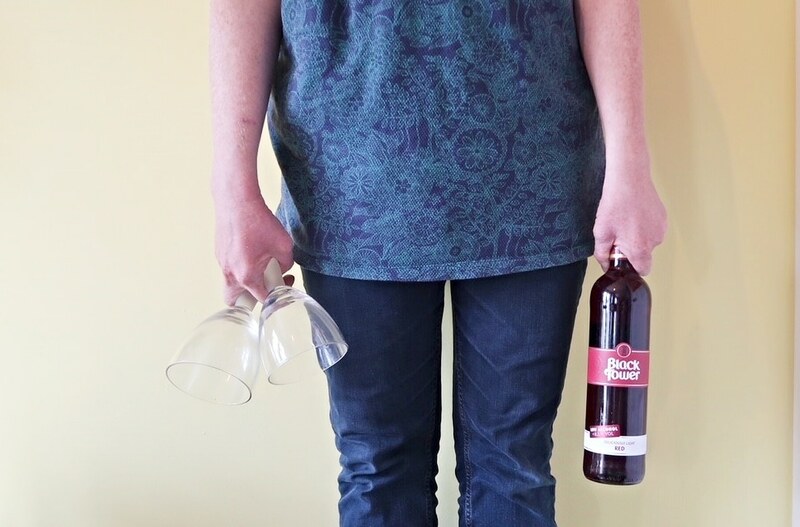 I can drink a glass without worrying about going overboard on calories and I certainly don’t feel awful the next day. It will be great that I can join in with social occasions when everyone else is drinking wine and not feel left out or forced into drinking alcohol. I will certainly be buying Black Tower light wines in the near future. 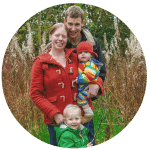 It’s only 1.5 slimming world SYNS per glass! Brilliant for losing weight!